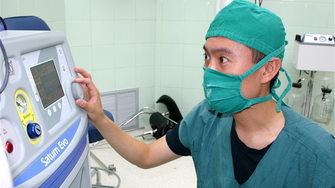 A quick article with the steps to become an Anesthesia Assistant. Anesthesia, or Anesthesiologist, Assistants play an important role in the healthcare industry. These individuals work alongside anesthesiologists to ensure patient comfort during what may be their most troubling times, and if you’ve chosen this career path, then you want to help ensure patients are not in pain. At a basic level, Anesthesiologist Assistants are responsible for keeping track of anesthesia levels, operating equipment, and learning from physicians. As time goes on the role eventually expands to include more responsibilities. Anesthesiologist Assistants up to the task are charged with monitoring patients during surgeries and stepping in if there are complications. Due to the severity of these life and death situations, becoming an Anesthesiologist Assistant is not for everyone. However, those that are able to endure are handsomely rewarded. On average, these healthcare employees earn almost $100,000 a year. To find out what the path to becoming an Anesthesia Assistant is like, read on. The first step is to earn your bachelor’s degree in biology. This major will ensure you cover most of the pre-medical information you need to know. You’ll have to take classes in pharmacology, genetics, physiology, chemistry, and anatomy (to name a few). Obtaining your bachelor’s will take about four years. After that, most budding physician assistants take the Medical College Admissions Test, or MCAT. Bear in mind, if you want to end your journey here and become a Registered Nurse, you do not have to take this test. Otherwise, you’ll need to pass the MCAT to continue. This test covers the science you need to know as well as testing your critical thinking abilities. Passing the MCAT confirms you are intimately familiar with the core concepts you need to be successful as an Anesthesiologist Assistant. Upon passing, students should enroll into a master’s degree program, specifically in anesthesia. This course typically lasts 2 years. During this time, students will learn about anesthesiologist equipment, proper airway management, and how to administer anesthesia. They will also get hands on clinical experience to prepare them for future positions. With adequate education and real-world experience under their belt, students are finally ready to get certified. To do so, two tests will need to be passed. The first is called the Certifying Examination for Anesthesiologist Assistants. As the name implies it covers everything you need to know to do the healthcare position justice. The second test is called the Examination for Continued Demonstration of Qualifications. This portion of certification covers deductive reasoning and cognitive acuity, among other things. Upon getting certified, students are officially Anesthesia Assistants capable of working anywhere they choose. The only catch is continual education. Anesthesiologist Assistants are required to study an additional 40 hours during a 2-year period. This continual education is mandatory and is meant to ensure that all healthcare employees are up-to-date on the latest medical techniques.